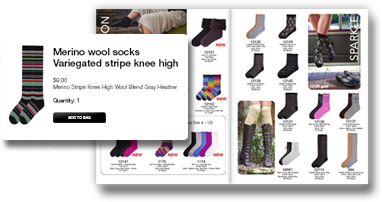 BRING SHOPPING EXPERIENCE INTO YOUR CATALOG. Do you have shopping cart on your website? What is the shopping cart name? Bring Commerce To Your Catalog! Connect and integrate your existing shopping cart to your catalog. This helps your client to shop while viewing catalog without leaving it. View & Buy Anywhere, Anytime! This does not end to online experience on your desktop/laptop computers; with ePageView Commerce plus Mobile (iPad / iPhone / Android) APP, your clients can view the catalog and buy on the go! 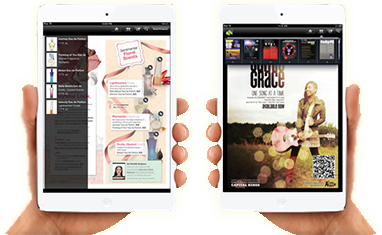 Commerce+ is the solution converging your online digital catalog or magazine with your existing online store. Allows your viewers to shop directly from your digital catalog/magazine without the needs to navigate to a new webpage or go search for a desired product seen in catalog. Invites shoppers to discover, deepens their engagement with your products — and inspires them to buy. Advances online merchandising and commerce from a traditional search-and-purchase model to a more profitable strategy of discovery and inspiration.